For the most part, stairs are a vertical point-A-to-point-B proposition. 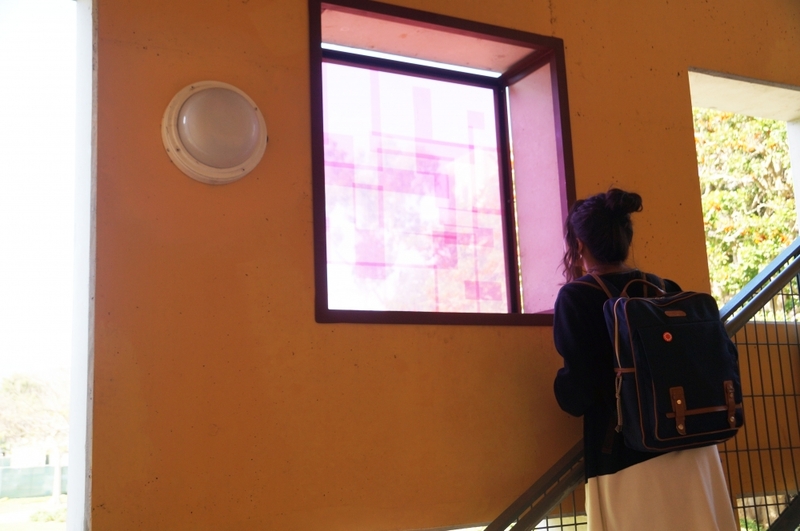 But in the hands of some enterprising UC Santa Barbara undergraduates, a few of these banal and underutilized passages on campus have become temporary portals to alternate perceptions. 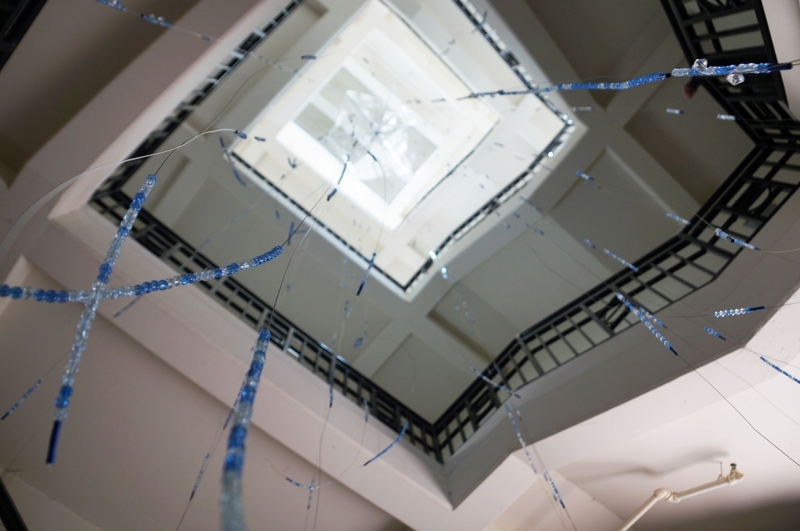 “I love the stairwells on this campus; there are some that are hidden and there are some people hardly ever see that are just gorgeous,” said art professor Jane Mulfinger, whose sculpture students took up the challenge of dressing up the spaces. 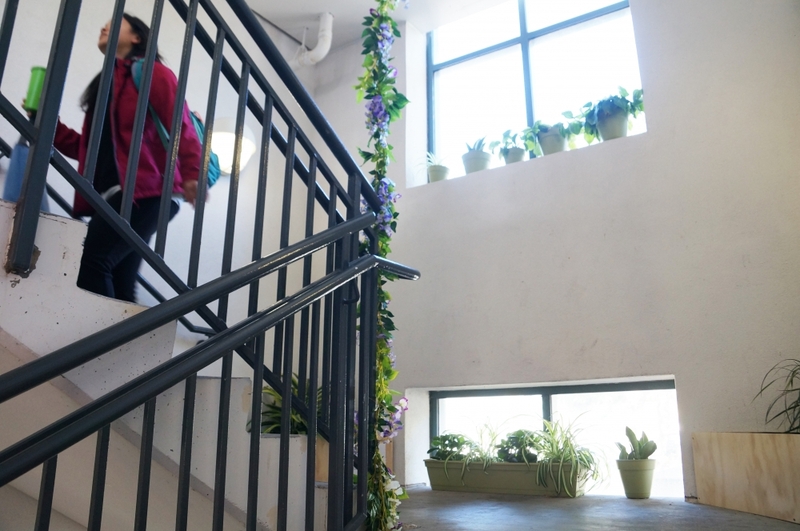 Named “Take the Stairs,” the project is a campus-based sustainability campaign that blends art with efforts to encourage people — faculty and staff members are the main targets — to get some exercise while saving the energy that would otherwise go toward powering elevators. The students selected four strategic campus locations for their staircase makeovers: the Humanities and Social Sciences Building (HSSB), the Mesa parking structure, Physical Sciences North and Bren Hall. 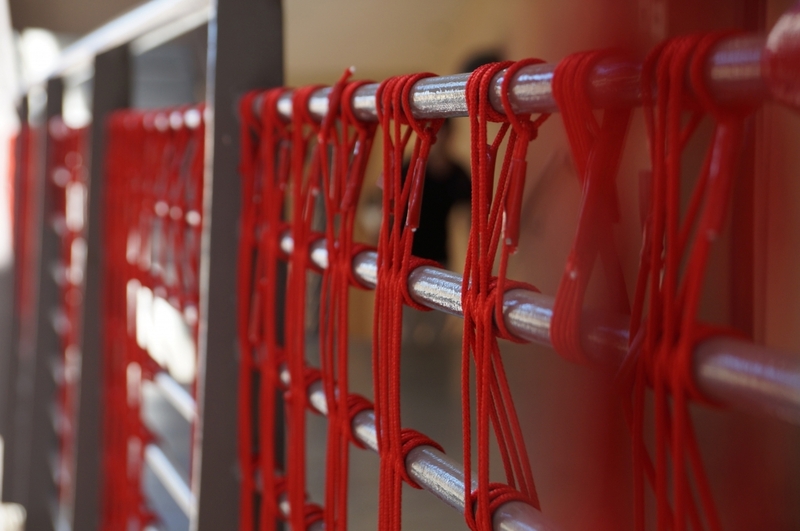 Each location allowed artists to use mixed media to play with their individual qualities of light and space. Meanwhile, at Physical Sciences North, Gabrielle Marchan utilized transparent and reflective materials to capture and filter the light that changes throughout the day in underused area, and at Bren, Robert York used his media to create the experience of ascending or descending through an iconic Santa Barbara sunset. These unexpected works in unexpected places have inspired some unexpected interactions as well. One of the plants in Mia Ramos’s installation went missing early on, but the taker seems to have had a change of heart. The exhibits will continue through the end of the spring quarter.